I am a member of APG, Athens Photography Guild, in Athens, GA. I have the honor tonight to give the monthly presentation. 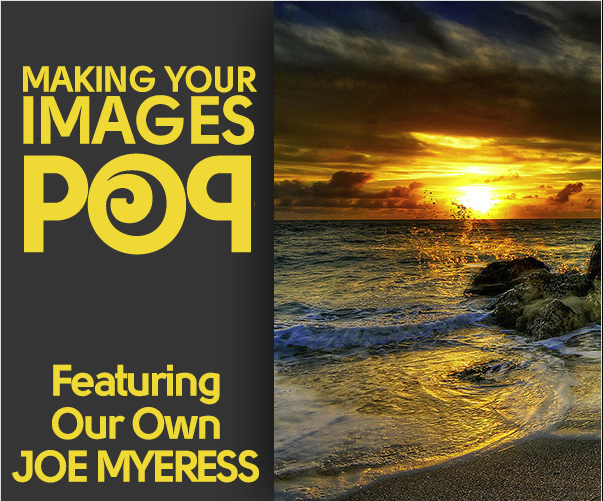 I will be speaking about, “Make Your Images POP”. Below is the official release from the APG website. October meeting is Thursday the 17th from 7-8:30 pm in the Community Room of the Lyndon House. The guest speaker will be APG MEMBER JOE MYERESS. Joe will be putting on a show and demonstration that will help you “Make Your Images Pop” through the use of Photoshop or Lightroom plugins and filters. Joe plans to show just how quick and easy it is to either enhance, or totally change, the look and feel of what you capture in the camera. Joe has been a professional photographer for over 30 years. While serving in the US Navy as a photographer, Joe spent two years documenting special events at the White House during the Bush administration. Joe now leads the photography team at a national computer and electronics chain.